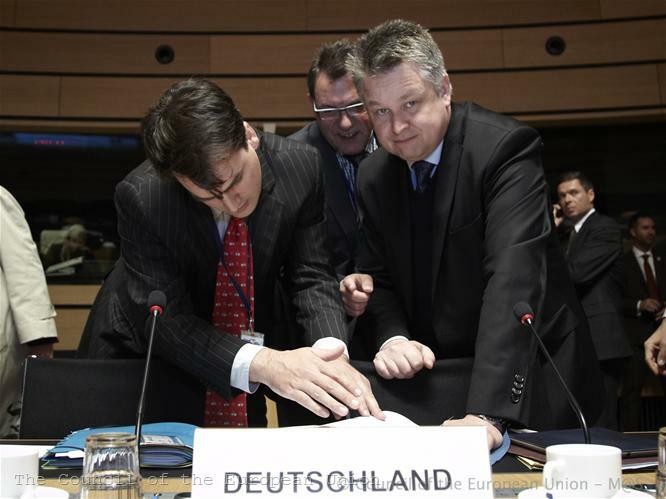 "Friends of Cohesion policy" against "Friends of better spending" - within these two camps the debates on the Multiannual Financial Framework (MFF) of the EU for 2014-2020 will be led. 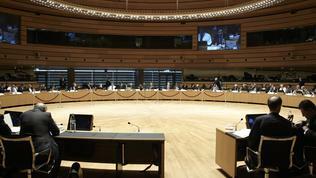 The division between the member states has been obvious for months, but was cemented during the General Affairs Council (GAC) meeting on 24 April. This was the second discussion on the MFF in the format foreign ministers and ministers for European affairs, based on the so called "negotiating box", and focused on the following areas: Cohesion Policy, Common Agricultural Policy (CAP), Connecting Europe Facility and the provisions binding these policies with the five structural funds: the European Regional Development Fund (ERDF), the European Social Fund (ESF), the Cohesion Fund, the European Agricultural Fund for Rural Development (EAFRD) and the European Maritime and Fisheries Fund (EMFF). Although there were no figures in the negotiating box, published by the Danish Presidency, the discussion around the table was namely about money. The question of where to cut spending from once again divided the countries not just into "new" and "old" member states, but into rich and poor. The first group, called "Friends of Cohesion policy", includes Bulgaria, Estonia, Greece, Hungary, Latvia, Lithuania, Malta, Poland, Portugal, Romania, Slovenia, Slovakia and Croatia. During the meeting the group issued a statement opposing any new attempts to cut cohesion policy funds. "In the Commission’s proposal the budget of cohesion policy is already frozen at the 2013 level in nominal terms," the statement says. It has already been reduced from 354 billion euros in the current period to 336 billion euros for 2014-2020, so these countries consider the "Commission’s proposal as an absolute minimum." The opposite position is supported by the newly formed group "Friends of better spending", the composition of which is also not a surprise - Germany, France, Finland, Austria, Sweden, the Netherlands. According to these countries, the budget of over 1 trillion euro proposed by the European Commission must be reduced by another 100 billion euros and according to Sweden even more. The group in turn distributed a paper, stating its priorities in the negotiations. And one of them is to reduce the money for the cohesion policy. 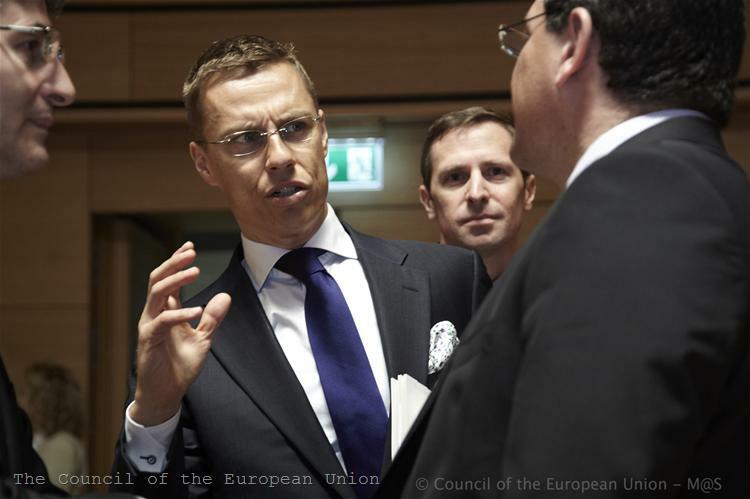 Not surprisingly, we find that policy a little bit too expensive, Finnish Minister for European Affairs Alexander Stubb commented. "We must counter too many wishes for additional expenditure," German Deputy Foreign Minister Michael Link supported him. Once again it became clear that the member states are divided in terms of creation of the so-called transition regions. According to the EC`s proposal, the category will include all regions with a GDP per capita between 75% and 90% of EU average with the aim to replace the current system of phasing out of funding. The Commission proposes to create a "safety net" for the transition regions and more developed regions to ensure that in the next programming period they will receive structural funds amounting to at least two thirds of their allocations for 2007-2013. "Friends of better spending ", being net contributors to the EU budget, want to create a "reversed safety net" to ensure that the net payers will get a certain percentage of the funds they now receive. The proposal, as expected, was met by strong resistance from the "Friends of Cohesion" group: "We oppose any mechanisms that in fact would lead to transfer of funds from the poorest to the wealthiest member states be it in the form of the reversed safety net or unfair effects of capping." Capping cohesion policy allocations to 2.5% of country’s GDP is an old pain of the new member states, which again criticised the limitation of funds. They also urged to preserve the higher "crisis" rate of EU co-financing at 85%, while the savers group insisted to reduce it to the usual 75%. Quite expectedly the group of "the rich" firmly stood behind macroeconomic conditionality, which binds the Structural Funds with EU economic governance. Thus, the Commission is enabled to suspend all or part of the payments and commitments to a particular Member State as a sanction for bad fiscal or economic policy. "I absolutely love it! 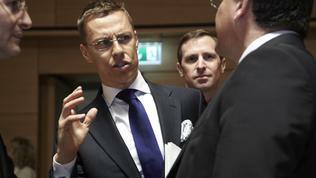 ", Alexander Stubb exclaimed referring to the macroeconomic conditions, which he said should not concern only the cohesion funds, as it is now. The Netherlands, in turn, insists not just on temporarily suspension of funds for offending countries, “but to include as a final measure also definitive cancellation of funds”. 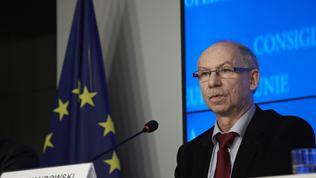 According to the "Friends of Cohesion", if introduced, macroeconomic conditionality "should apply to future commitments (not payments), after a decision of the Council on violation of economic governance rule, be subject to equitable capping and should ensure equal and fair treatment of the Member States.” The Commission believes this is achieved by applying macroeconomic conditionality to all the structural funds and not just to the Cohesion Fund. 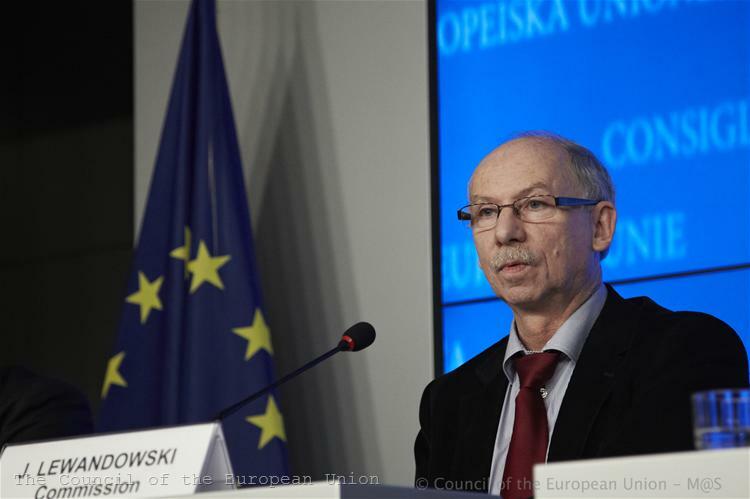 As explained by Budget Commissioner Janusz Lewandowski, the current regulation of cohesion policy affects only the 14 "cohesion" countries, the poorer countries and if the EC`s proposal to extend the sanctions to the other structural funds is accepted, it will affect all countries. Regarding CAP, both camps have confirmed their previous positions. The new member states insist on equalisation of direct payments and the old fear that this will happen at their expense. Some member states (like Britain and Sweden) called for a serious reduction of CAP`s money, but France countered that the Commission`s proposal is "the absolute minimum" and France would not accept any new cuts. Most member states argued against combining the two pillars of the CAP, but asked for more flexibility in terms of funds usage. There was a common view that, although the countries support the "greening" of the CAP, the use of 30% of the direct payments for this, as proposed by the EC, is too high. Opinions were divided on the proposed capping of support for large farms. 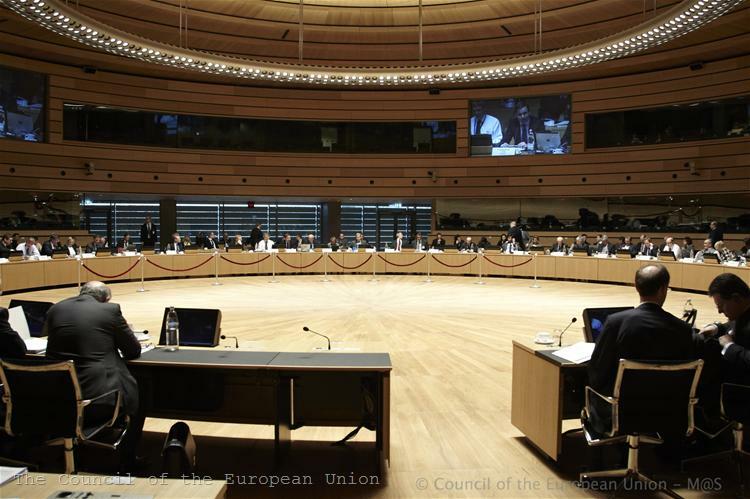 A more detailed discussion of the CAP budget for the next programming period will be held within the Agriculture Council of the EU on Thursday (26 April). We are still far from a compromise, Member States are not negotiating but positioning themselves, Commissioner Lewandowski summarised the results of the GAC meeting. Judging by the formed groups and the dividing lines between them, the positioning is almost clear. However, before starting the real negotiations, one last piece of the puzzle remains to be added – the own resources of the European budget. The discussion on this topic seems to be no less interesting than the debate on the expenditure and the already stated positions suggest difficult negotiations with an unexpected ending.